Born in Milano, Italy, 1978. As a teenager, Joe starts playing guitar in few local rock bands. In 1999, he starts a career as vocalist, giving birth to the hard rock trio KickStart. They self-produce the album “Fuel” in 2003 and the single “I Am Free” in 2006, and are featured in festivals, magazines, radio & TV shows. 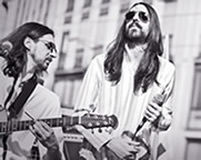 Around 2005 he and his brother Ettore Salati give life to the acoustic duo SaltyBros, playing 60s and 70s rock tunes with alternative arrangements and ethnic instruments. 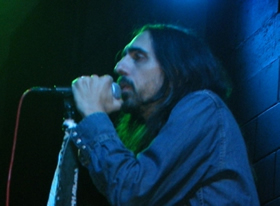 While improving his skills by playing in many bands, he sings as guest in some prog records, like The RedZen’s “Void” and SoulenginE’s “Mind Colours”. In 2012 he starts his solo project, simply called Joe Sal: a mix of alternative rock, soul and pop music, performed alone on stage, just guitar and voice. His gear features LOUD Guitars and DG Amps & Pedals. The same year the Alex Carpani Band - a well-known ensemble in the international prog-rock scene - offers him a collaboration for their gigs with David Jackson, sax player of the Van Der Graaf Generator, a famed English 70s prog band. Singing Peter Hammill’s tunes is a challenge that Joe eagerly accepts. This new adventure is taking him on tour around the European and American continents. Born in Milano, Italy, 1974. He starts his path in music a child, running his fingers on a piano with Mozart and Chopin’s tunes the most. After some years, hit by Hendrix, Led Zeppelin, Genesis and in general by seventies' rock, he lets his piano down and begins to hold guitar. At a first time he plays in blues venues in Northern Italy, then starts his training with some famous italian guitar players; graduates with full marks in modern guitar at Lizard music school in Florence and begins his career as a session player and a guitar instructor. He teaches in some music schools in Lombardy, contributes to the training book "Scuola di Chitarra Hard Rock-Heavy Metal", published by BMG and then by Universal, worldwide distributed. Writes, arranges and records soundtracks for tv programs and collaborates with national broadcastings for musical production and multimedia projects. He plays in studio and live for pop artists like Gemini and Ombrechiare, records the sound of his guitar for funk and dance productions, works with many vocalists, trios and ensembles. He's into the jazz-rock-fusion thing performing with great musicians like David Jackson (Van Der Graaf Generator), Karl Potter, Aldo Tagliapietra, and brings his six strings on stages all over Italy with several bands in many different genres. His never forgotten interest for progressive rock lets him meet The Watch in 2000; with them he records "Vacuum", "Primitive", "Live Bootleg", and tours all over Europeand America. 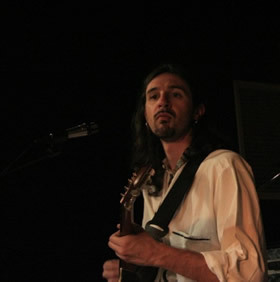 By January 2007 Ettore leaves the band, and works nowadays as a prog session musician. Performs with keyboard virtuoso and composer Alex Carpani on the intensive “Waterline Tour”, records his second album “The Sanctuary” and is back on the road with “The Sanctuary Tour”. In 2013 Alex Carpani Band starts a live collaboration with former Van Der Graaf Generator sax player David Jackson, playing original songs and classic VDGG's tunes, on stage in whole Europe and America.